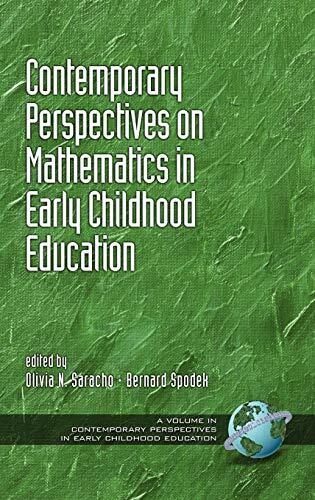 A volume in Contemporary Perspectives in Early Childhood Education Series Editors Olivia N. Saracho and Bernard Spodek This volume provides a comprehensive critical analysis of the research in mathematics education for young children. The researchers who conducted the critical analysis focused on the relationship between (1) mathematics learning in the early years and domain specific approaches to cognitive development, (2) the children's social learning and their developing understanding of math, and (3) the children's learning in a natural context and their understanding of mathematics concepts. The work of these scholars can help guide those researchers who are interested in pursuing studies in early childhood mathematics in a specific area of study. This volume will facilitate the research conducted by both novice and expert researchers. The volume has accomplished its major goals, which consists of critically analyzing important research in a specific area that would be most useful in advancing the field and provide recommendations for both researchers and educators.